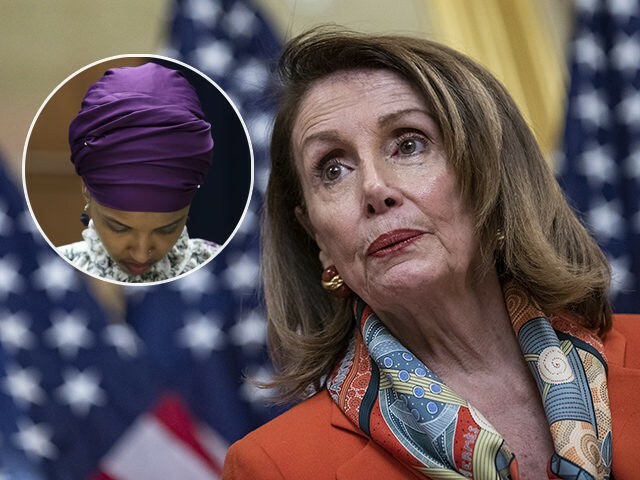 House Speaker Nancy Pelosi (D-CA) on Tuesday admitted that she does not know the content of Rep. Ilhan Omar’s (D-MN) recent remarks about 9/11 – despite offering a full-throated defense of the freshman congresswoman in the wake of criticism from President Donald Trump. In an interview with CNN’s Christiane Amanpour, Pelosi rejected charges of antisemitism against Omar and pushed back against criticism that the Democrat Party is doing enough to combat it. “I do know that what the president did was not right,” she added. Several Democrats, including Rep. Alexandria Ocasio-Cortez and 2020 Democrat candidate Robert Francis “Beto” O’Rourke, said President Trump was inciting violence against Omar by tweeting the clip. In a statement Saturday, Pelosi demanded the president remove the video and said Capitol Police are conducting a security assessment to safeguard Omar amid a growing number of death threats.